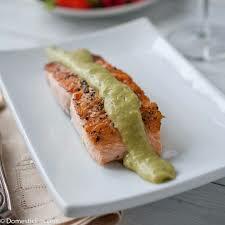 6 Ounce Boneless, Skinless Salmon Fillet (Fresh, Never Frozen! Canadian Raised!) Marinated in Lemon Juice and Lime Oil, Seasoned, Broiled and Finished with a Side of Our House Made Lebanese Cilantro Garlic Sauce. Entree Comes with Your Choice to Two Sides.